RE: Request for Police Station and Police Presence for Crooked Tree Village. This correspondence is in reference to a serious public safety issue for the villagers of Crooked Tree Village and the lack of a police station and police presence for Crooked Tree Village. As you already know, Crooked Tree Village is one of the largest villages in the Belize District and it has been without a functioning police station for over ten years and no police officer presence for the past two years. Consequently, this situation has now presented a serious safety issue for the villagers of Crooked Tree. Last week, we received some troublesome news report about a major home invasion and robbery with weapons in Crooked Tree, which have left the villagers with major concerns for their safety and well being. Also, over the past six weeks there have been five additional home invasions and robberies. With this increase in serious crimes in Crooked Tree, the villagers are left with an out of control situation and a feeling of nowhere to turn. 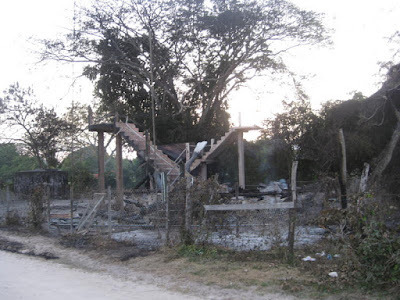 The lack of police presence has created a pathway for criminals to rain terror over the Village and get away with their horrific activities putting the life of the villagers in serious jeopardy. Mr. Prime Minister, this is unacceptable. The only way to bring calm to the villagers and protect their safety will be to reinstate a permanent police officer immediately and begin to build a new police station. In addition, Crooked Tree Village is known for its attractive Wild Life Sanctuary, which is also heavily promoted World Wide by the Belize Tourist Board. As a result, a large number of tourists visit the village annually. Any harm to any tourist can have a serious impact on the tourism industry and will drastically reduce tourism in Belize and in our village. Mr. Prime Minister, the absence of law enforcement in Crooked Tree Village is having serious adverse effects on the residents of this beautiful Village. We trust that you will consider this serious situation and react immediately on behalf of the people of Crooked Tree Village. Thank you in advance for a favorable action. We pray blessings to your family and your Administration. To all residents of Crooked Tree Village, descendants of Crooked Tree Village and friends of Crooked Tree Village. We would appreciate you adding your name and address in the comment section of this blog post so that it could be added to a petition we will be circulating in the village. This petition will be delivered to the PM's office in Belmopan. Please use the “Share” buttons below to share with your friends on Facebook, on Twitter, on LinkedIn, and your other favorite Social Networks. Thank you!! God bless you all. Linda, great job of bringing attention to this much needed situation for your village! I wrote about the Police Station a while back in a funny blog story, but really it is no joke. Crooked Tree villagers need protection! With you all the way, Linda. This is something that is way past due! This is a great idea. I hope it results in positive response from the Prime Minister. 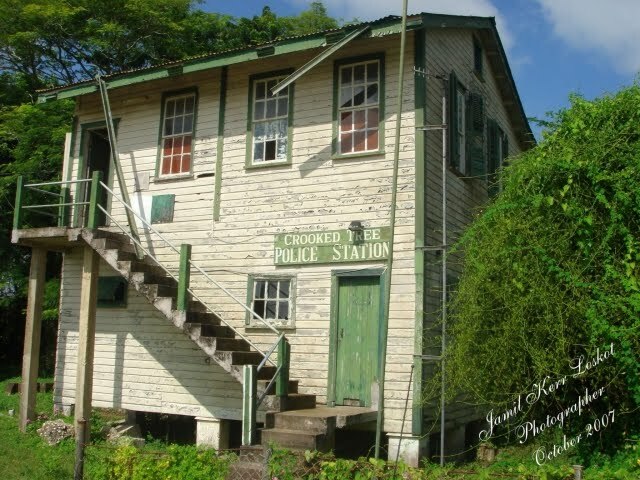 It is a shame that the village of Crooked Tree does not have a Police Station with a resident Police Officer. This is an amazing idea and Crooked Tree Village could use some protection! I support this police station 100%! My mother is from Crooked Tree Village and I would love to know that everyone is safe with the proper protection. I was born and raised in Crooked Tree and I support this effort to have a police presence and a police station in Crooked Tree. One of the last prisoners locked up in our last old dilapidated police station cell was able to pull away the old woodlice panels in the cell and made good his escape. DO YOU PEOPLE WANT TO WAIT UNTIL WE HAVE A DISASTER TO REALIZE THAT WE ARE IN DESPERATE NEED OF AN UPDATED POLICE STATION? We are 14 miles from the nearest police station. By the time we call,and if and when help arrives,it might,and always is,too late. I support having a police presence at all times as well as a police station in Crooked Tree Village. I'm from Crooked Tree village and I support and applaud the efforts being made by Village View Post and Crooked Tree Reunion to get a police presence and police station in Crooked Tree Village. I fully support the petition that will be circulating in the village. The people of Crooked Tree very rarely request for any assistance from the Government!!! We are now asking because it is urgent and very important!! This is our safety and we need to be protected!!! Please help in this very simple and very important request!!! I support the petition to bring police back to Crooked Tree Village. As a tourist, I cannot endager my life and property. I will not visit until the government provides security. Thank you all for you comments and support; It is greatly appreciated. We stayed there for 3 wonderful days in 2010, absorbing the lagoon,guided bird tours and tastes ...well,... all the delights of the village. We want to return again and be as safe as the whole village was then! protected!!! Please help in this very simple and very important request!!! I support having a police presence at all times as well as a police station in Crooked Tree Village.Crooked Tree villagers need protection!